This is a must have item if you have any detail dies. 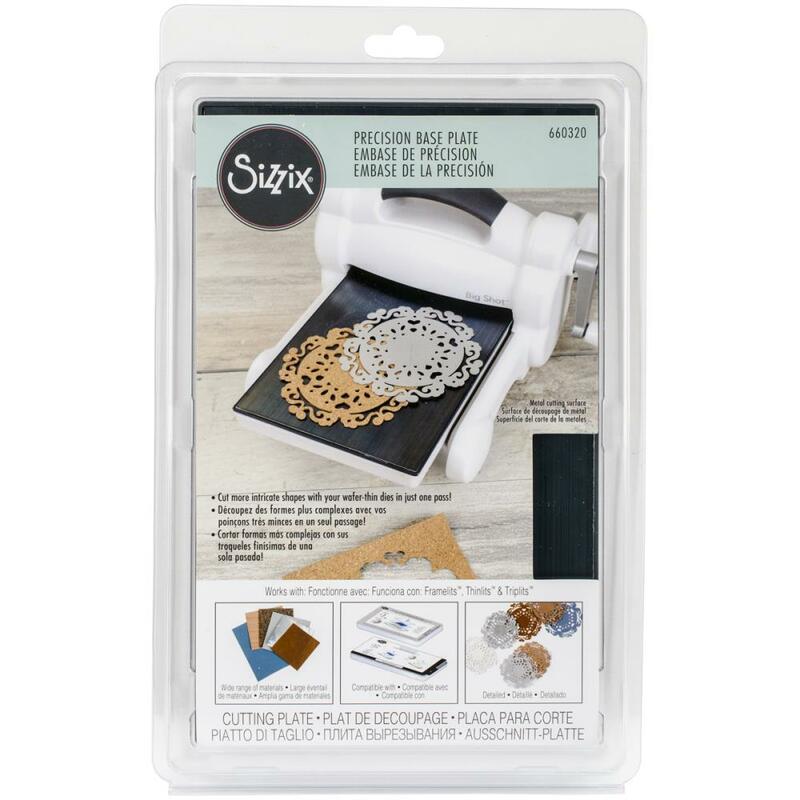 Sizzix-Wafer Thin Dies Precision Base Plate. High-quality construction from annealed steel improves intricate cutting with chemically-etched, wafer-thin dies by cutting thicker and thinner materials with a cleaner cut. Will not warp or cause dies to warp. Cut burlap, paper wood, craft metals, multi-layered fabric, grunge paper, fabric bonding sheets, suede, felt, canvas, craft plastic, magnet, aluminum and more. 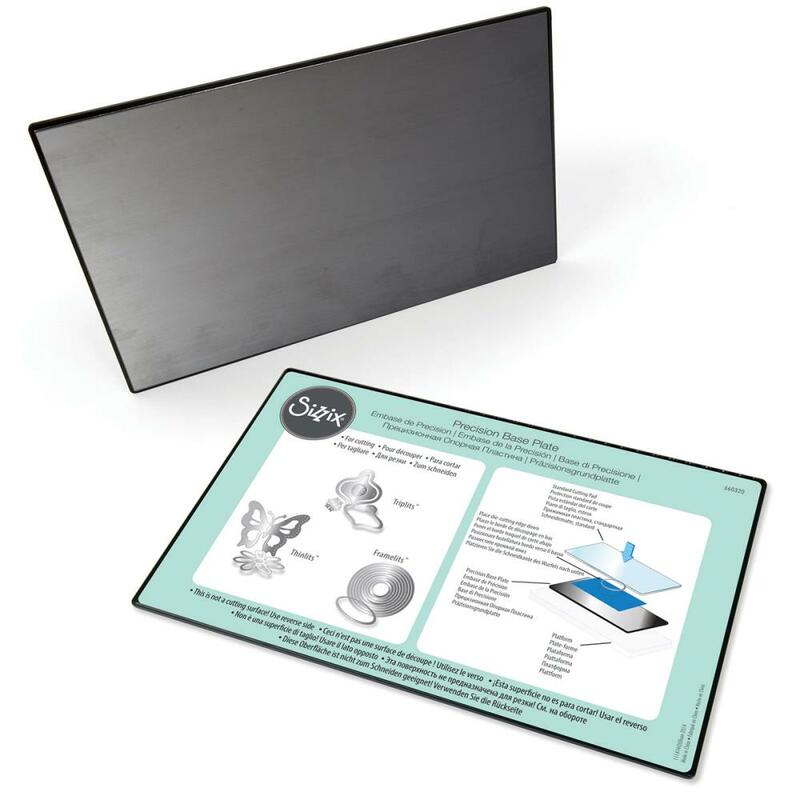 Compatible with Thinlits, Framelits, Sizzlits, Edgelits, Triplits and other wafer-thin dies (sold separately).This package contains one 10x6-1/4 inch wafer-thin dies precision base plate.